Shimmer is a collaborative project between JamFactory, the South Australian Museum and TARNANTHI. 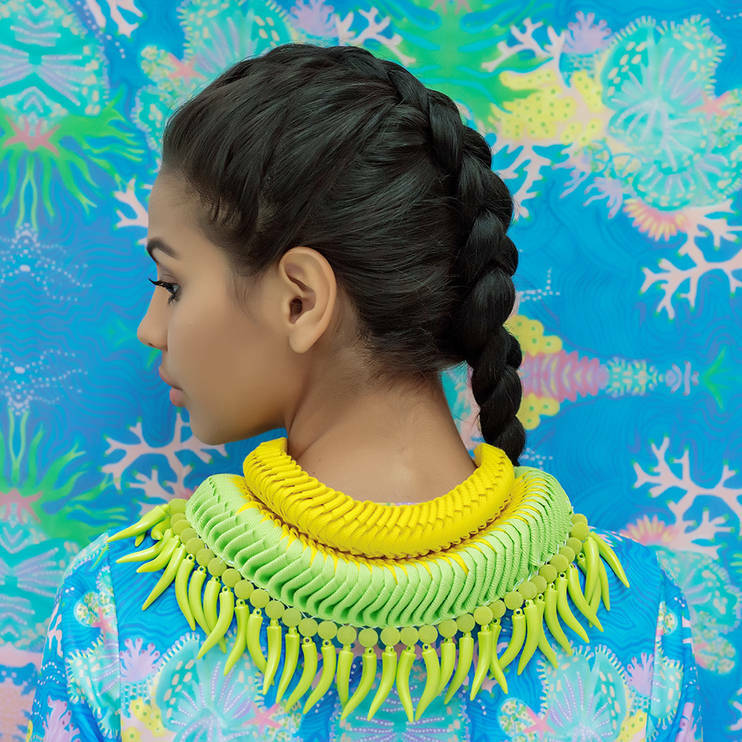 The project offers artists from across Australia the opportunity to undertake research within one of the South Australian Museum collections, working closely with the curators to explore contemporary forms of adornment. Shimmer is showing at both JamFactory and the South Australian Museum. Wheelchair accessible and service animals are freely admitted. Image: Model wearing neckpiece by Shimmer artist Grace Lillian Lee. photo: Carly K Photography.